The readings in today’s liturgy present us with the stories of two women outstanding in their generosity. 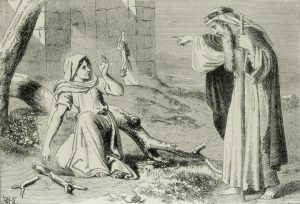 The first woman Elijah encounters in his travels. She is poor and is in survival mode with her son; famine has control of her country. The second is likewise a widow, the subject of the “widow’s mite” in the gospel. 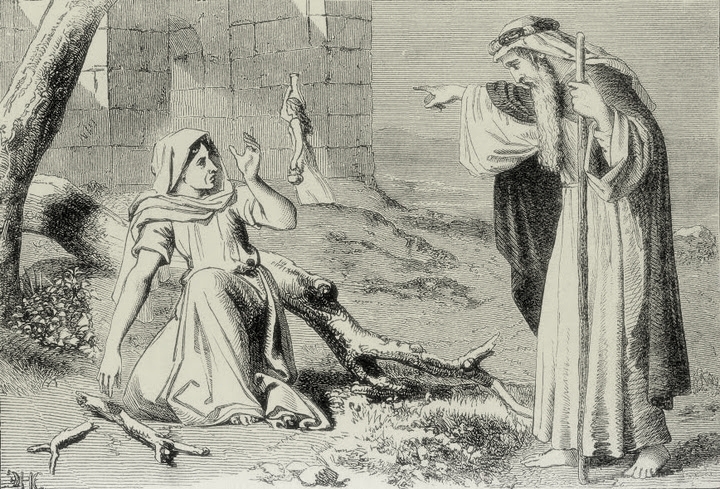 In the first account, the prophet Elijah meets a woman who is gathering sticks for the fire to prepare a meal for herself and her son. Elijah approaches her and asks her to bring him some water to slake his thirst after his journey. As she moves away to get him the water he also requests some bread. She announces to the prophet that she is about to prepare food for herself and her son. It is to be her last supper, because she will have no more supplies to prepare any more food for her and her son to survive any longer. They are in dire straits. But Elijah has still another task for her to do, “but first make me a little cake and bring it to me, then you can prepare something for yourself and your son.” He’s got to be kidding! She’s on her last steps and he adds still another job for her to do for him.? But then we get the saving message Elijah has been sent to deliver: Do Not Be Afraid. “The jar of flour shall not go empty, nor the jug of oil run dry.” She did what she was asked to do, and the flour and oil did not disappear. She and her son were able to ride out the drought fortified with God’s gift given through the prophet. The comparison between the two women is astounding. We observe that both gave abundantly from their poverty. We, too, give out of our own poverty of spirit. To give from one’s poverty calls us to a leap of faith, hope and love. Elijah and Jesus/his disciples model for us our response to people in need. Who are the persons we serve today? To name but a few: those seriously sick among us; those who have lost lifetime jobs; Those who, like the widows, lack the necessities of life; the constant stream of people-migrants who wander our earth in search of a home, mercy and peace. Dearest Lord, open our hearts that we will respond to the needs of our sisters and brothers in their call for healing and wholeness. Bless them through our openness and be present as your disciples. Help us to be abundant with our love as you have demonstrated to us in your superabundant care for us.